The Senate Intelligence Committee is holding a rare open hearing on accusations that Russia interfered with the 2016 presidential election. They are asking questions about a recent report by the US intelligence community on such activities. 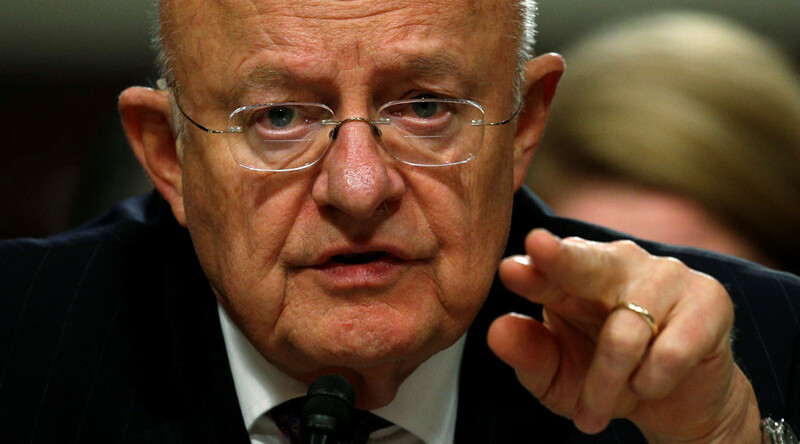 Director of National Intelligence (DNI) James Clapper, CIA Director John Brennan, NSA Director Admiral Michael Rogers and FBI Director James Comey will testify about a recently declassified report on the supposed Russian influence on the election. 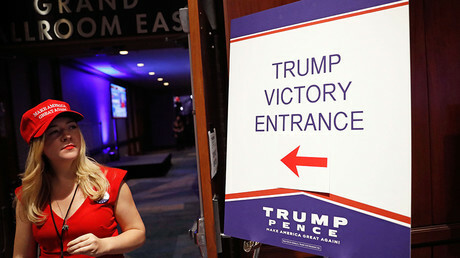 “We are not here to relitigate the results of the election,” Senator Mark Warner (D-Virginia), the ranking member on the committee, said in his opening remarks. Instead, the focus of the hearing was to be accusations of Russian hacking and release of stolen info, the use of state-owned media as a means to amplify real and fake news, and any contact between Russian actors and the campaigns. 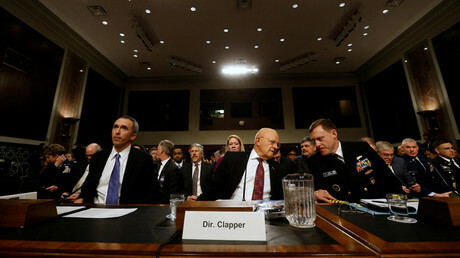 Clapper’s opening statement reiterated the findings of the ODNI report, noting that the investigation didn’t assess the impact of Russian influence on the elections, only the intentions. He added that there was no evidence of Russia altering the vote tally. The FBI did not have access to the Democratic National Committee’s servers after they were hacked, Comey said, but rather a highly respected third-party company was able to investigate them. It was unusual for the bureau to be denied access, especially when it made multiple requests. Warner asked Clapper if it was correct that “some” information was taken from Republican-linked entities, but a “great deal” was taken from Democrats; the DNI agreed. None of the four intelligence chiefs said they had seen “this level” of Russian interference in another country’s elections before. Comey would not say whether there is an FBI investigation into any contact between relationships between Russians and individuals associated with the Trump campaign and his incoming administration, noting it was not appropriate to reveal the answer in an open setting. “The American people have a right to know this!” Sen. Ron Wyden (D-Oregon) exclaimed, pounding on the dais, and demanding that the FBI release an unclassified report about such interactions before January 20. There were “intrusions and attempted intrusions into state-level voter-registration databases,” but there was no indication that any changes were made, only that information was taken, Comey said. Is it fair to compare RT to CNN, MSNBC or Fox News, Heinrich asked. “I think there’s an RT channel here,” Clapper told Sen. Roy Blunt (R-Missouri) that’s accessible to “some number” of people here. Russia is similarly interfering with or influencing the elections in “a couple dozen or so” other countries, Clapper told Sen. John Lankford (R-Oklahoma). The DNI previously told the committee that authorities in Germany, France and the Netherlands, all of which have upcoming elections, should be aware of Russian attempts to meddle. Russia “got far deeper and wider into the DNC than the RNC,” Comey said. “It’s hard to say why in this forum, hard to say in a closed forum because they didn’t get into the RNC.” The Russians were able to access some Republican-affiliated organizations, especially at the state level, but not the RNC itself, he added. Trump and his team are “very sensitive to this threat,” and the intelligence community has educated the transition group to the “pitfalls of mobile devices,” Comey said. When Sen. Kamala Harris (D-California) asked him about the security of Trump’s Twitter account, the DNI refused to discuss any steps taken in an open setting. Russian hacking has been going on “since the 1990s,” Rogers told Sen. Jeff Cornyn (R-Texas). As a response, the US government has “tried to up our game defensively” since Russian intrusions began in the 1990s, Clapper told Cornyn. “We’ve responded selectively,” he said, referring to the US response to the Sony hack and to the recent increase in sanctions against Russians for the current situation. The DNI once again warned senators that it’s inappropriate to have a policy of retribution for all espionage activities in the US because the United States also conducts espionage. Sen. Jim Risch (R-Idaho) sought to put the Russian interference in perspective for the American people. Risch also agreed with Clapper’s assessment that the US needs to be careful in how it responds to such meddling, so as to prevent escalation. He praised the DNI for admitting that the US does conduct espionage, and said that the focus needs to be on upping the country’s defensive posture and called on everyone to be supportive of such defensive measures. At the same time, though, he noted that a “silver bullet” would likely never happen. Sen. Richard Burr (R-North Carolina), the committee chair, adjourned the open hearing, which was set to be resumed after a vote as a closed session where the four intelligence chiefs would be able to go into the classified details about Russian interference that weren’t included in the report released Friday. “There’s more behind that conclusion, we just can’t discuss that here” in an open forum, Comey had said earlier in the hearing.